A little while ago I saw a documentary on TV about the NOW albums. 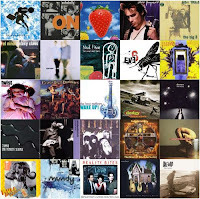 If you're not familiar with the "Now that's what I call music" series, it's a ludicrously popular compilation of current chart hits - there have been 85 of them since 1983. The programme though made me think of a similarly titled album series "The Best... Album In The World... Ever! 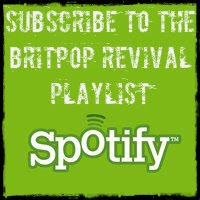 ", they were around for a few years in the 90s and were full of great Britpop/Indie tracks. I had the first couple of installations on double-cassette. There was also a rival britpop and indie compilation (just as the NOW albums competed with 'The Hits Album') but I just couldn't remember the name of it. Then it came to me, Shine. Erm, actually no. It wasn't. They were all on Amazon Marketplace. And the cost? 1p each. In this day and age you'd think that downloads are surely the way to get hold of music cheaply but in fact on Amazon there is a huge reservoir of used CDs available for just 1p (+P&P of £1.25). In fact there is an excellent blog run by our friends at 1p Album Club. Just have a look at all the interesting stuff they're finding. In fact, follow them on Twitter (@1palbumclub) for all the latest updates. And so with just a few clicks of the mouse, all 10 volumes of Shine were winging their way to me for a combined cost of just £12.60. 15 CDs, 300 songs for £12. Remember that NOW documentary I mentioned? Well it featured Dermot O'Leary's Radio 2 show in which he spins a little roulette wheel to select a random track from a NOW album. I like things like that. So I thought that I should nick the idea but instead of one NOW CD, we would have the entire Shine collection. 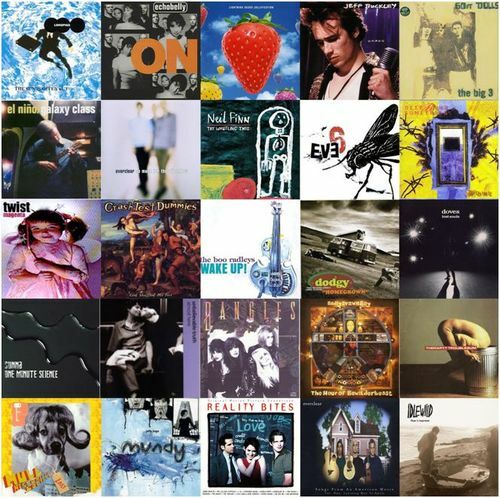 300 songs from between 1995 and 1998, full of Britpop classics, rare Britpop gems and the odd slightly bizarre inclusion. Perfect. The stage was set for Britpop Roulette. The only problem was that, strangely enough, I don't possess a roulette wheel. Not to worry, one quick raid on the kids' toy cupboard and we have our solution! Lightweight Dermot just picks one song this way, we could do better than that. We could pick a whole show this way! 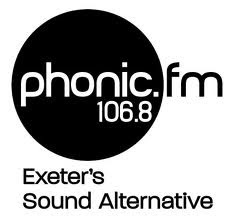 So last Sunday found me ensconced in the basement studios of Phonic FM armed with just a Twister board and a bundle of Shine CDs. My friend Chris came along to help out, spin the wheel and generally be Debbie McGee (a quite frightening thought...). He'd even bought some Haribo with him. 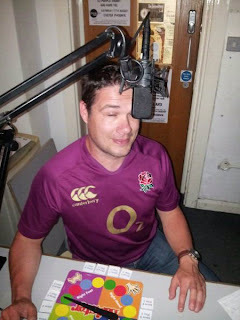 So here is how it worked, I invited the listeners to pick a track number between 1 and 20 (handily there were 20 tracks on each CD), then Chris spun the spinner which selected the CD. I started the show with Oasis' Morning Glory as it was track 21 on Shine 7 Disc 1 and so couldn't have been chosen by random. Also it's a bloody good song to start a show with. Then after we'd explained how it was going to work Chris had the honour of having the first go. He picked track 10 and spun the 'wheel'. At this point I realised that what I was actually broadcasting was two grown men sitting in silence save the faint click of a Twister selector spinning. Yes, quality entertainment! 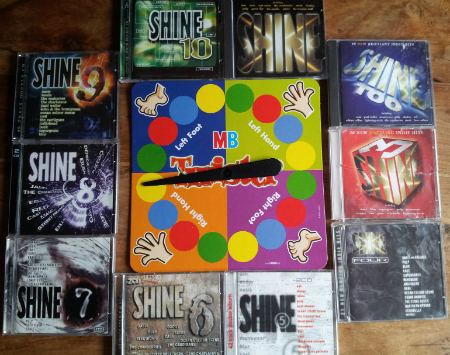 The pointer landed on Shine 9 Disc 2. However instead of then shifting seamlessly into the track what we had was me rummaging around finding the right case, clattering about as I struggled to get the right CD into the drive as quickly as possible. Finally we were on our way with Best Regrets by Geneva. After that people were getting in touch thick and fast via email, text, Twitter and especially Facebook. So many in fact that we couldn't use everyone's selections. As I said before, the Shine albums aren't all Britpop so it did lead to a couple of what would otherwise have been curious choices for our show; Skunk Anansie and Rocket From The Crypt anyone? Towards the end of the show, knowing that there was only time for a couple more songs, I did start to interfere in the strict randomness of the selections a bit. A Cranberries song was selected but I thought sod it, what's the point of having your own show if you can't get a bit dictatorial? So I binned it and played Someone Always Gets There First by Bennet, one of my favourite songs, instead. And when Mark from the Strangely Strange but Oddly Normal show that follows me arrived we let him pick the number for the last song. Except that I decided that another Lightning Seeds song wasn't what I wanted to end on so I played Boy Wonder by Speedy. If you've not heard me bang on about Speedy before, just read this.